DO SUCCESSFUL WARS CREATE MORAL HAZARDS? This item was originally posted at the Prospect Blog. 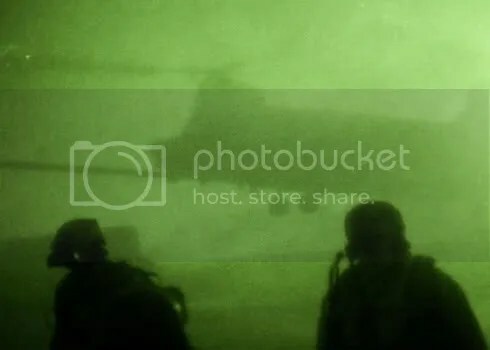 SOF raid similar to the one targeting Bin Laden. There is a valid point here. Citizens must consent to war in democracies, and they are much likely to condone strictly unnecessary military actions if they have reason to believe that conflicts will be cheap and easy. This dynamic is visible in Clinton’s 1993 intervention in Somalia. The internal power struggle in Somalia had no immediate effect on the security of the United States, yet the decision to dispatch troops to Somalia was largely uncontroversial. While most US voters likely held unrealistic expectations about the probable costs of this mission, it’s more likely that the victory in the Gulf War had unrealistically convinced Americans that all future interventions would be as quick and victory so total. This view is dangerous because the Gulf War and the killing of Bin Laden are so far from the actual reality of most of the foreign conflicts the US has chosen to involve itself in. Elements of the US military- notably JSOC- are extremely good at the very practical task of finding and killing individuals. However, this capability has little relevance to what’s required to actually succeed in low intensity conflicts like Somalia, Afghanistan or Libya. That’s something American’s should remember when forming their expectations of success in future wars. Even if the US and NATO are completely successful in Libya the actual benefits to the victors will be small, even if the benefits to oppressed Libyans and humanity overall are much greater. However, even if these prospective benefits are insignificant the immediate costs of the war are smaller still, giving policymakers and incentive to fight. I, like the vast majority of Americans and Europeans, don’t know anyone actually asked to fight over Libya. If the costs are so small, then why not fight for ill-defined humanitarian goals? As Somalia and Iraq showed, this is a dangerous line of thinking, though a very attractive one. However, even if inexpensive successful military actions create the potential for subsequent public moral hazard this really doesn’t change anything. Even if the death of Bin Laden is insignificant compared to the Arab revolts, it is a cathartic and just achievement, and makes Americans safer. It sends a clear and valuable message: if you order an attack on the United States, you will die. It’s not wrong to celebrate this success. The death of Bin Laden is a type of closure, even if an incomplete one, and is as close to VE Day as my generation is going to get. The competence and lethality of US special forces are something to be proud of.